A year ago at this moment, if you told me where I was going to college in a few short weeks, I would have asked you what the hell happened. 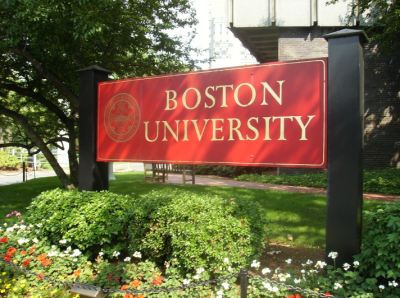 I did not, in any way, think that Boston University would be the place I will soon call home. Much of that may be due to the fact I’m a Yankee fan, but I also wasn’t sure that I was going to like it there. I was dead wrong in thinking that. Back a year ago I started my search for a college. I wrote down a list of potential places and weighed them based on appealing criteria. Places like Duke, Ohio State, and Notre Dame were easily eliminated due to their penchant for evil. I was not running a 4.40 40-yard dash any time soon, so there went USC, Oregon, Florida and Oklahoma. I’m smart, but not a robot, out went the Ivies. So I had to focus on the places I actually had a shot at. I ended up touring a few places. 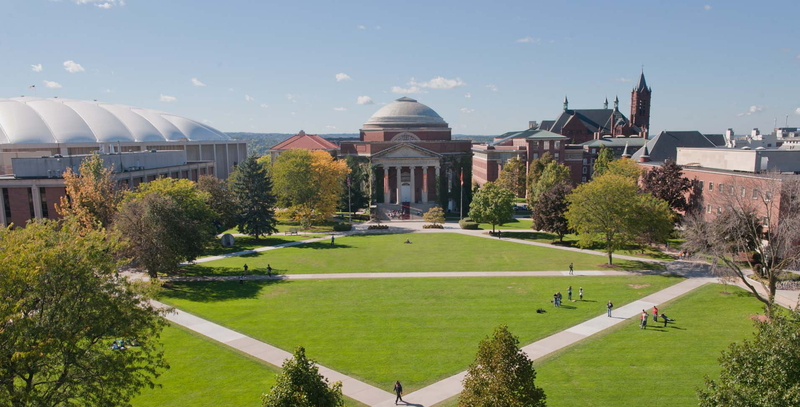 The first school I walked around was the University of Scranton, which is nice, but having been a resident of the area for 19 years, I have officially run out of any and all activities that don’t include shopping and/or tacos. Much of my family went to “The U,” and I knew I’d get in, so it was nice to see, just in case everything went wrong and I needed a fallback plan. I don’t mean to hate on “The U,” I am just used to it and was desperate to get out of town. 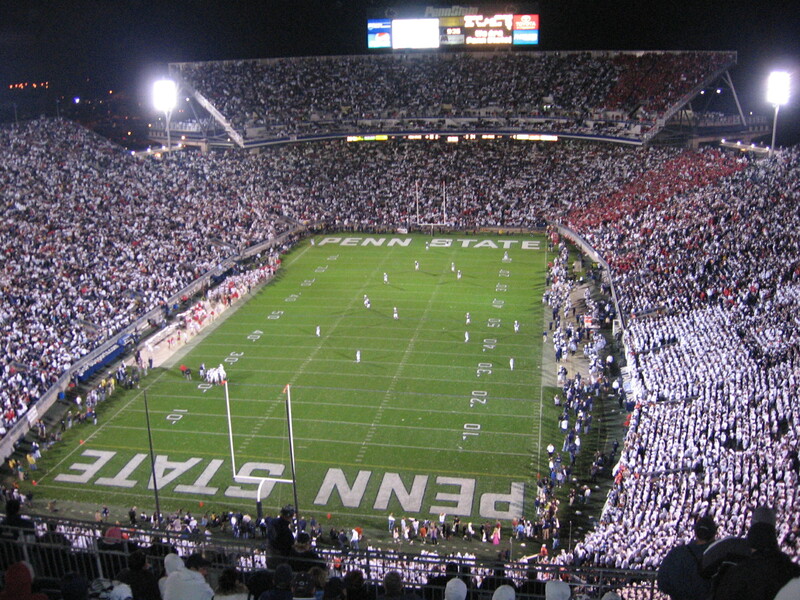 I have been going down to Penn State football games for seven years and absolutely love the atmosphere. I also had great luck when I was down there. 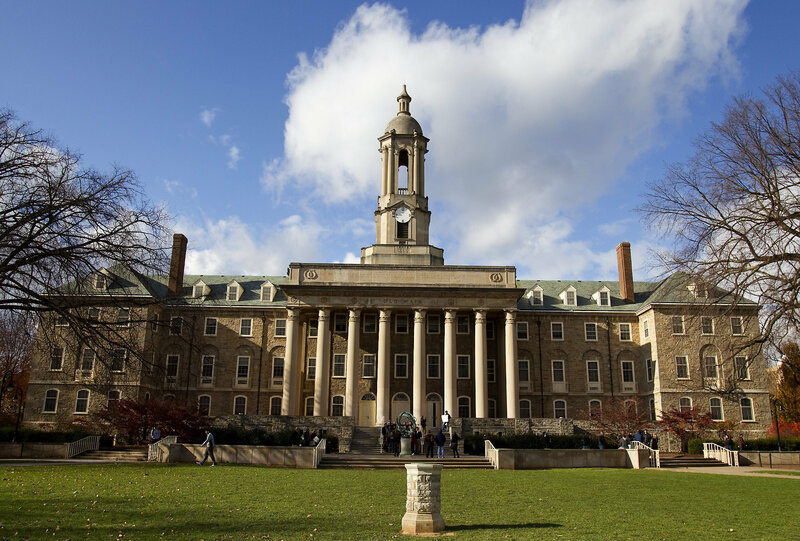 Penn State won the first seven games I attended only to drop the last two to Alabama two years ago, who rode Trent Richardson to the BCS Championship and Ohio State, who were NCAA probation away from a national title bid, having ended up undefeated for the year. I toured the massive campus and loved it. It was simply fantastic. Yet there was an issue. There were 40,000 kids on campus. I was concerned about how I would safely maneuver around campus if I needed to be back in my wheelchair if I fractured something again. As luck would have it, this concern took Penn State out of the running, which probably was for the better, because months later I broke my tibia and fibula again and may have had the cast on for the beginning of the school year (still in it now). This worked out for the best, even if it meant going against what some close family friends had wanted me to do, including the McGloin family, and their son was the starting quarterback for the team. And I said no. Their mom, a sweetheart, still hasn’t fully forgiven me for that. I also toured NYU in New York City. This, I thought, would be a sleeper. I am a Yankee fan, I like the Knicks, and I love the city itself, what could go wrong? Well two things. First problem was I walked around campus and realized that I would basically be going from a high school of just over 1,000 total to living in downtown New York. This was terrifying. I still got lost in my high school where I went for four years and there were signs on the walls telling you where to go. Sure, New York is a grid system, but I’m also an idiot on a lot of things, so I could pretty much bank on ending up in Chinatown on my first day of classes. 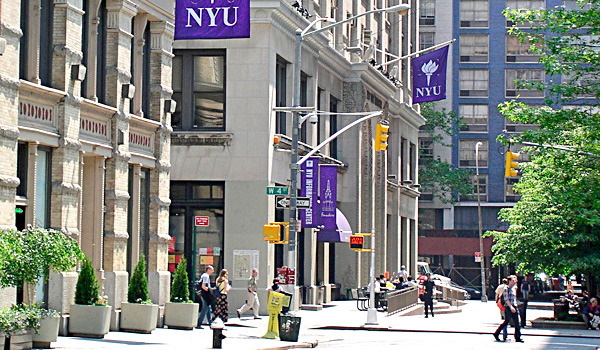 The other problem was there was no way in hell I was getting into NYU. So I had spent my search so far on places that didn’t fit me. That was okay, but it was time to get serious and look at my top two possibilities: Syracuse and Boston University. In fact, I visited them on consecutive Fridays, two of the most fun days of my life. I visited Syracuse on October 12th of 2012. I drove two hours to campus through beautiful New York State. I started the day with my interview at the admissions office, which I’m relatively certain, went well. I toured the campus and absolutely adored it. The Carrier Dome is much more imposing in person than on TV or in NCAA Football 14. I rolled around in my chair because the campus has more hills than my Mom’s DVR. I could see myself living there, just based on the campus tour. Then I got to see the Newhouse building. 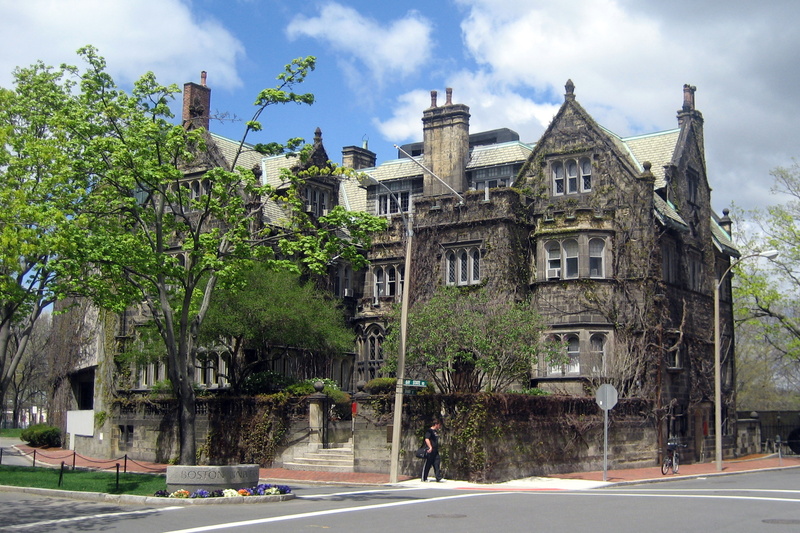 This is the home to the communications department. For those unaware, Syracuse Newhouse is the premier program in the country. After touring it, and being slack jawed the entire time, I can confirm that it deserves that designation. It was incredible. I loved it. For a brief week in time, I was ready to join the Orange. Then, on October 20th, it happened. 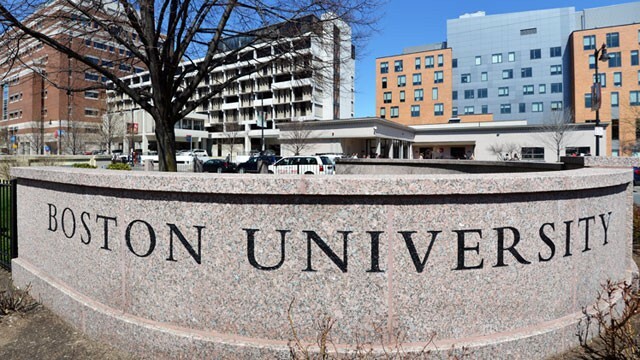 After looking online at their gorgeous website or their even more gorgeous campus, I got to step foot on Boston University for the first time. When I strolled down Commonwealth Ave for the first time, I knew. I had the realization that this was the place. I almost didn’t need to tour because I was so confident. I took the tour anyway and was introduced to massive structures like Warren Towers for the first time. I got to visit the GSU. I saw places and people that made me feel comfortable (Read: Dunkin Donuts and people drinking Dunkin Donuts coffee). I was overwhelmingly in love with it all. I hadn’t even seen West Campus, and I knew that I was set. So I did what is, in my opinion, the smartest thing someone that knows his or her decision can do, apply early decision. On the morning of December 15th I was goofing around on my cell phone in gym class because I got out of gym whenever I didn’t want to participate (Perks of having brittle bones). That is when I checked my twitter for the morning. I saw people tweeting their admission results and started realizing this was when I would know. If anyone saw how frequently I was refreshing twitter and my ApplicantLink they would assume I was on drugs. No lie, it was once a second, I counted. Twenty minutes later, in a bathroom during my math class, I found out I was accepted and officially a Boston Terrier. That was probably the best feeling of my life since the winter of 2007 when I won my first fantasy football championship. Priorities. Clichéd celebrations occurred, high fives were exchanged, the whole deal. I knew I was heading to the spot I liked more than any other. That’s why I want to pass this along to anyone searching for a college. This won’t necessarily be 100%, but it’s certainly common. Tour places, go visit schools you know can work for you. Don’t waste your time visiting places you have no shot at, like Harvard if you can’t spell crayon. Have some fun with choices, talk to friends to see where they’ve gone and what they’ve liked. But most importantly, wait for that feeling. You will know it when it happens. It’s like the moment you fall for someone, your body just feels different. There’s definite magic to it. That is how I felt at BU. It’s how my friends felt about places like Penn State, Duquesne, Pittsburgh and Temple. Once you feel it, the process of applications and waiting, becomes all the sweeter. You can be prepared and have one less thing on your already cluttered mind senior year. Our story doesn’t end here though, because my feeling for BU was entirely requited last month. It began with the revelation that the school would be honoring my request for a single room to make living with my wheelchair easier. A few months prior, I looked at the three towers that comprise Warren Towers and stared in amazement at how terrifyingly large they were in the fall skyline. Now, I call the center tower my home. It’s funny how these things work out. 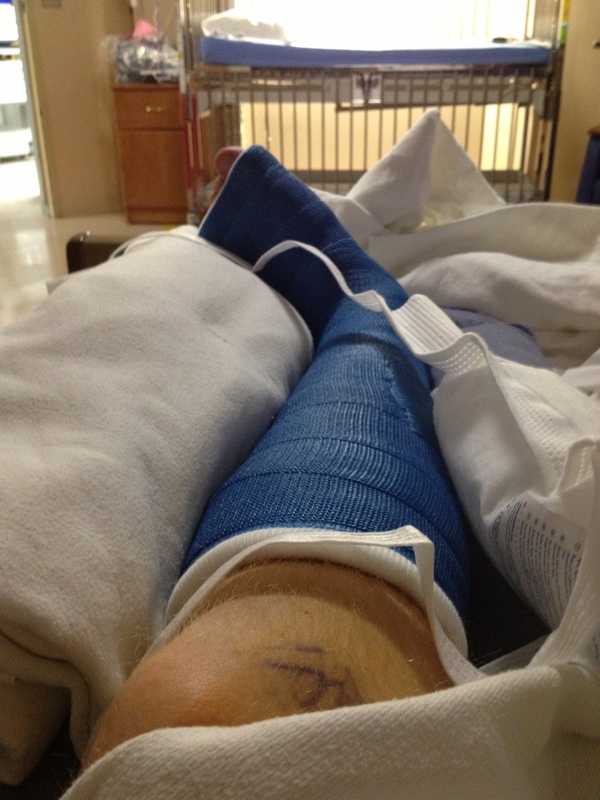 In early June I broke my tibia and fibula. I have been using my wheelchair ever since. Part of what made me love BU was the campus and its pretty easy layout. It is, more or less, flat. I can get around easily in the chair, and as everyone in my orientation group soon learned, oddly fast. One of the biggest loads off of my brain was the realization that I could cross campus pretty easily thanks to my wheels, so the orientation was going swimmingly. Registering for classes, meeting great people (Shoutout to Jean-Luc, Grant, Mike and Jordan), cool presentations, the whole time was incredible, but there is one story I came away with that I will be telling for years. I met with Disability Services to talk about some of the things I need help with so that I can get around, get good grades, live comfortably and all that jazz. The woman in their offices told me she would be mentioning something to the head of Student Activities about meeting with me to talk about similar concerns and how to make things work. The next day, Assistant Dean John Battaglino introduced himself to me and told me to drop him a line so we could figure things out about living on campus. A day later, I was killing some time on campus before the closing ceremonies and decided to go see if Dean Battaglino was in his office so we could meet more formally. I went up to the Dean of Students offices in the GSU anticipating a secretary and closed doors where I’d have to ask if he was in and free. I was so awesomely wrong. I wheeled in to find four chairs around a coffee table and some students who were helping around the office. Dean Battaglino was sitting in one of the chairs, and across from him was Dean Kenn Elmore, head of Boston University. I had hoped to meet Dean Elmore at some point; I hadn’t realized it was going to be this soon. He immediately came over and introduced himself to me and I ended up talking to him and Dean Battaglino. This is where the story becomes otherworldly incredible. Dean Elmore casually mentions that they were all laughing over the Snuffy the Seal commercial for Shark Week and had asked me if I saw it. I had not. He had someone bring a laptop over so we could all watch it again. Everyone in the room was dying laughing, and we talked about Shark Week, a holiday that Dean Elmore is both a fan of and knew the date of off the top of his head. We talked about the most random things, trivia at the Sunset Cantina, Miley Cyrus, Entourage, Breaking Bad, BU Athletics, my broken leg and many other fun things. Eventually, both Dean Battaglino and Dean Elmore had to go get ready for the closing ceremonies, but not before our biggest revelation of the half hour or so I spent there. The topic of conversation was concerts in the area, and I mentioned I was seeing Drake at the TD Garden in late October and also that Kid Cudi would be in town in September. Dean Elmore’s eyes lit up and he asked for the date. I added that Tyler, the Creator would be opening. This is when Dean Elmore revealed that he is a fan of Odd Future. Done. Done. I was done. I wanted to leap up and hug him. On day one of classes I will be presenting him adoption papers and start calling him Dad. 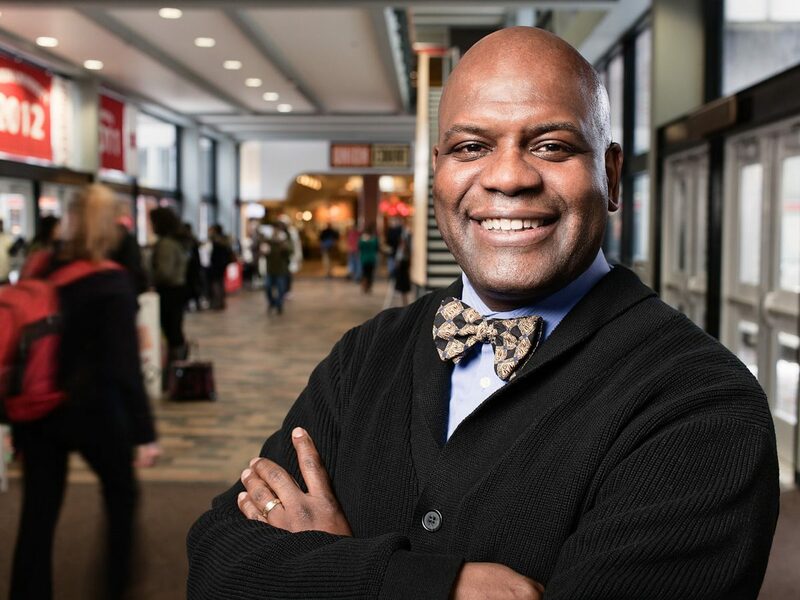 That was the absolute moment, the conversation with both Dean Elmore and Dean Battaglino about getting set up on campus and random topics that I fell head over heels in love with Boston University. It should also be noted that after meeting with both Dean Battaglino and Dean Elmore, they both followed me on Twitter. I have loved getting to see the interactions of Facebook and Google+ between current strangers, soon to be classmates and possibly future best friends. 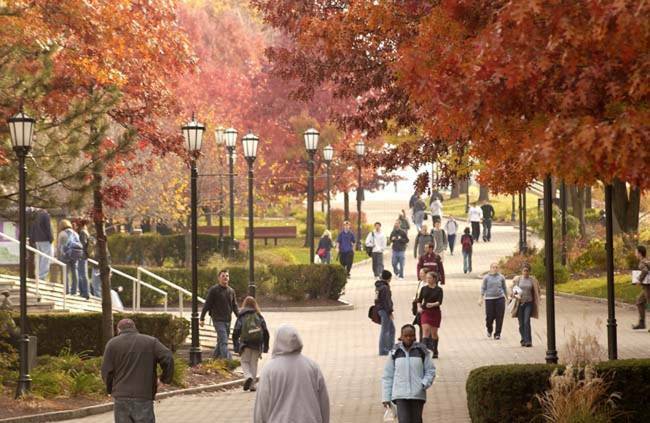 This university is the best on the face of the Earth and no one can tell me differently. 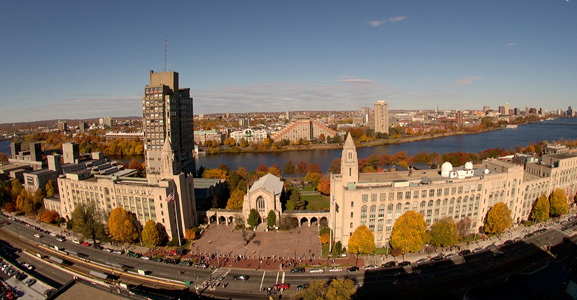 So if you are looking for a place to welcome you with open arms when its time to leave your home, come to Boston University, because it welcomed me, and I couldn’t be any happier.